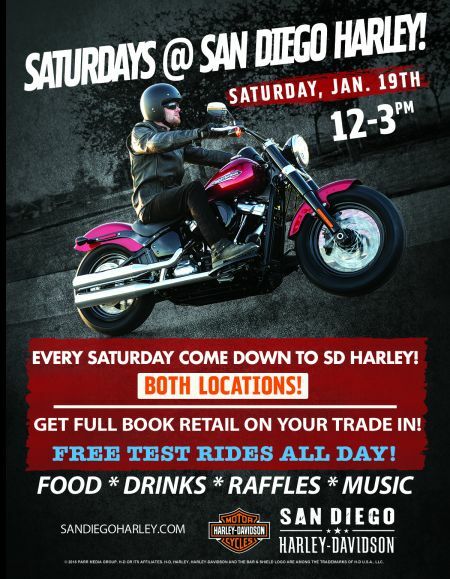 JOIN SAN DIEGO HARLEY THIS SATURDAY FOR FOOD, DRINKS, RAFFLES, TEST RIDES & MORE! Saturday at Morena we will have a POP UP BAR including Nachos, Margaritas, Music & Raffles. Saturday at Kearny we will have a POP UP BAR including Subs, Lemonade/Iced Tea, Music & Raffles.